‘Modern Means of Execution’ (now titled ‘No Human Way to Kill’) is a suite of 12 etchings (with introduction by Michael Peppiatt), 2008, by Robert Priseman (published by Goldmark Gallery). 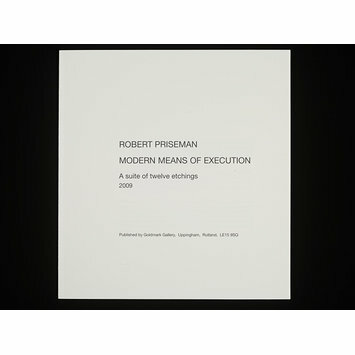 A series of airless and studiedly neutral black-and-white line etchings, they show an electric chair, a guillotine, a garrotte, trap door gallows, gas chamber, a pile of stones, and other means of execution, comprising a graphic account of the death penalty around the world. 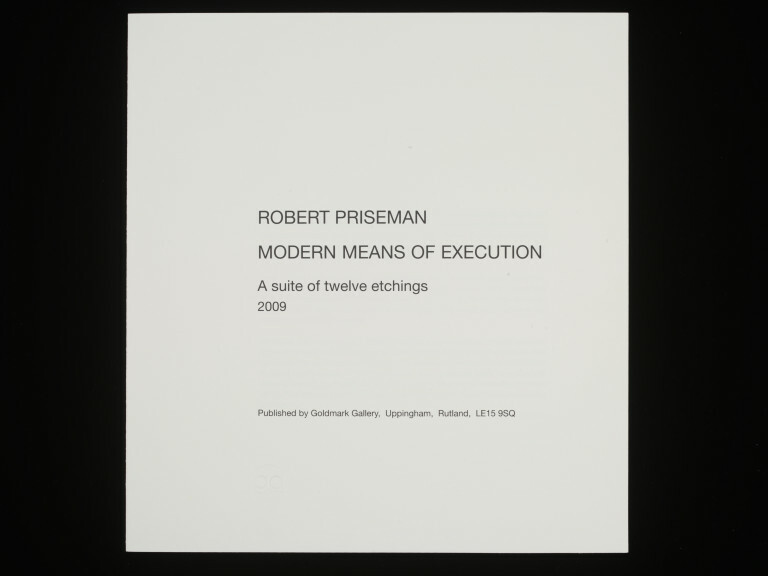 In his precision and detail Priseman emphasises the pseudo-scientific nature of the gas chamber or the lethal-injection gurney, the craftsmanship in the construction of the guillotine and the electric chair. The revised title was suggested by a staff member at Amnesty International, as being more ‘approachable’ than the original. The coolly dispassionate style of the etchings themselves evokes the cruelty and horror of the subject matter more effectively than anything more expressive and animated could do. The prints are featured in a book, ‘ No Human Way to Kill’ published by Seabrook Press in association with the Human Rights Centre at the University of Essex and Amnesty International in 2009. The original drawings are in the collection of the Mead Art Museum, Massachusetts.